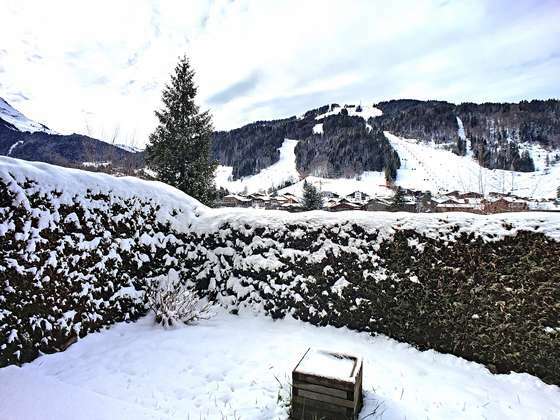 A real favourite for this pretty one-bedroom apartment with a bunk bedroom and very special terrace/ garden which has an exceptional view of the Pleney, located on the south side of Morzine for maximum sunshine. 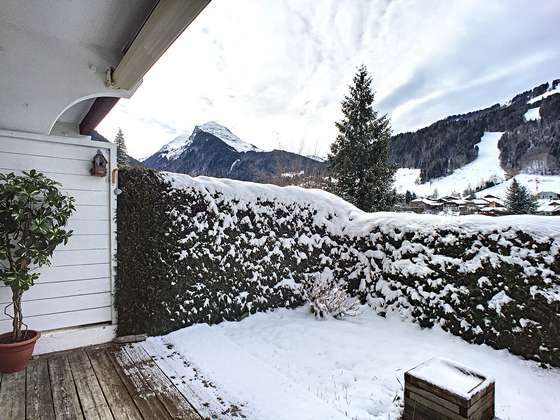 Access to the village centre and from the ski lifts to the Portes du Soleil in 10 minutes on foot. 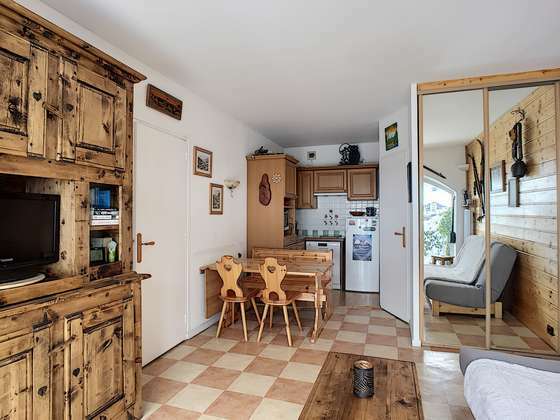 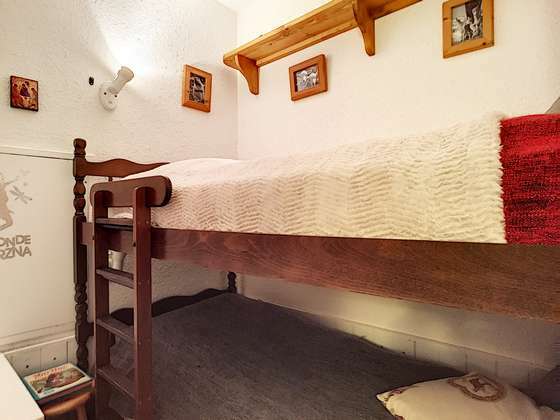 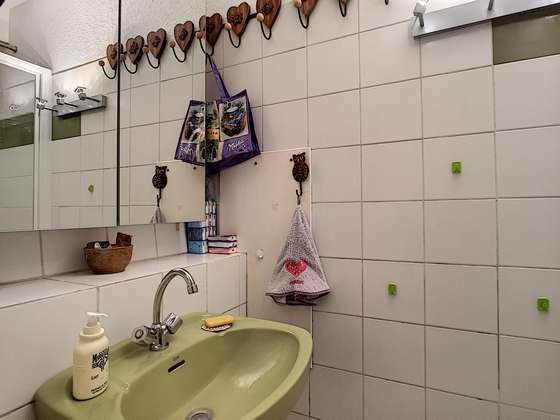 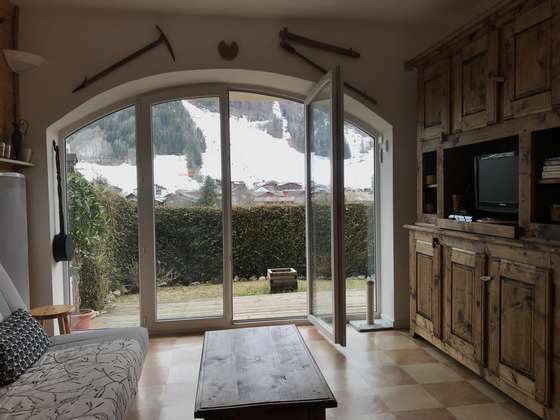 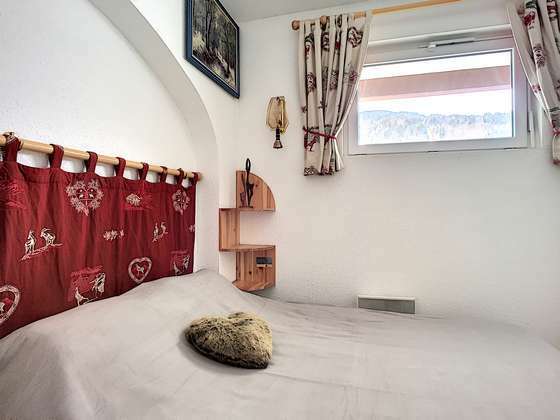 Entrance hall, a bunk bedroom, a shower room, a toilet, a double bedroom, a kitchen opening onto the living/dining room and the large terrace exposed East South West, the best in Morzine! 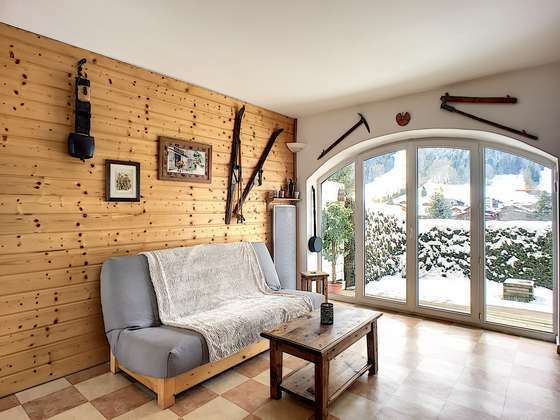 Cave and private but non-nominative parking space.